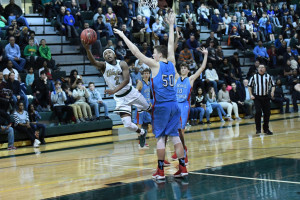 THE WAKEFIELD VARSITY BOYS BASKETBALL TEAM EARNED A BERTH TO REGION SEMIS WITH THEIR DEFEAT OVER NORTH STAFFORD ON TUESDAY, FEB. 21. THE WARRIORS WILL PLAY ON THURSDAY, FEB. 23 – 7PM WAKEFIELD @ ALBEMARLE HIGH SCHOOL (located at 2775 Hydraulic Rd, Charlottesville, VA 22901) – TICKETS $7.00 FOR ALL! GO WARRIORS!